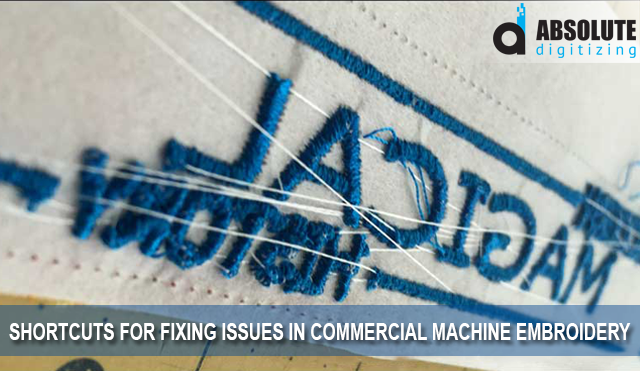 Looking to fix an issue with the embroidered product that you just finished? Or do you find yourself frequently in such a situation? If yes is your answer and you want to know how to get rid of it, then read on. In most cases, embroiderers find it convenient to put the blame on others and get away. 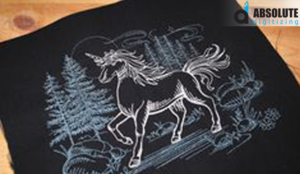 Like most issues with commercial machine embroidery, the prime suspect is believed to be embroidery digitizing. Since most embroiderers outsource embroidery digitizing, it is an easy way of getting away. While there might be issues with embroidery digitizing, and they must be addressed, the culprit is not always the stitch file. Interestingly, in most cases, tracking a problem in the process is not an easy thing to do. It can be a problem with embroidery digitizing, stabilizer, a faulty component of the machine or a mistake of the operator. So, instead of getting of getting furious and all, you should care for what to do next. Troubleshooting the problem, getting the culprit and finally getting it fixed, is a lengthy process. It is not to infer that you should let it go. Of course, fixing the problem is inevitable for running a commercial machine business. But what should you do right now? What to do when you have to deliver an order with a fast-approaching deadline? This article deals with such situations and what should be done to quickly fix embroidery designs. Remember, that these fixes should only be adopted as a last resort. If you need these fixes more often than normal, it means that something down there needs to be fixed as soon as possible. Coming back to these fixes over and over again, implies deteriorating quality of machine embroidery. You will probably see a good set of permanent markers with every embroiderer. What have the markers got to do with the commercial machine embroidery business? Are they used somewhere? Or are you missing a trick here? The fact is that, ideally, colored markers do not have a thing with commercial machine embroidery process. 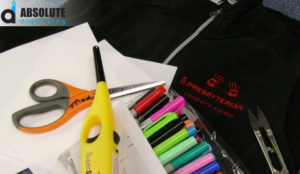 These colored markers are extensively used to fix minor flaws once the design is embroidered. The instances where you can use the markers to fix the problem are numerous. For instance, you can use the marker where bits of bobbin threads are showing up. Or a loose stitch is exposing the bottom layers. As a general rule, you can employ the marker smartly where there is only a small area that needs to be covered. As you would understand, applying the marker should be done in a way that it doesn’t become evident. Doing this takes practice and an eye for putting mess under the sheets. Use an inedible and permanent set of markers in different colors. Before applying to the actual embroidery, make sure that markers are wash resistant. In parallel, if you are required to do this post-fix after every other run, then you should look for another solution. Markers are definitely not a way to produce high-quality embroidery designs consistently and quickly. Long-term measures that you should take include, regular maintenance of the machine, cleaning the bobbin case, and balancing the thread tensions. If the problem still occurs occasionally, you can use markers to cover things up. If the trimmers of your commercial machine are not sharp enough, they can give rise to a little-addressed problem. The bad news is that this little-noticed problem determines the outlook, and hence, the quality of the embroidered product. If the jump stitches are loosely cut, they can form minor fringes. These minor fringes are too little to be trimmed but large enough to be seen and felt. These fringes can give a great design, loose and frayed look. The quick fix for removing these fringes is to use heat. Heat will eradicate these fringes and give your design a lustrous and crispy look. But this technique is not applicable every time. If the fabric is too fragile, using fire to remove the fringes is too risky. Similarly, if the thread is too susceptible to catch fire, it is gain too risky to apply this fix. Moreover, some colors can easily get discolored by applying the heat. In all these instances, an embroiderer should look for another easy fix. Anything from ordinary lighters to candle burners can be used. Any firing aid can be used as long as they have the capability of concentrating and containing heat in a specified area. Obviously, you cannot take the risk with a very expensive fabric. But for most designs that are embroidered in commercial machine embroidery, it is acceptable to allow occasional use to enhance the looks. On a positive note, if applied properly, heat can add sheen and brightness to a design. That’s why, many embroiderers employ fire to designs once they are embroidered, even if there are no fringes. This polished look can justify the abundant use of lighters, but it is a sloppy tread to follow. The permanent fix is to ensure that machine trimmers are in fine shape and condition. The last one is not a fix. But it is a more of a tip. Since this also makes the work easier and quicker for embroiderers, we have decided to put it up on the list. 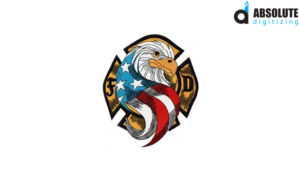 It is a fix if you don’t have readily available embroidery digitizing. In such an instance, you can resort to commercial machine embroidery stock designs. These stock designs are readily available and cost much less than digitizing a design from scratch. It is true that there is no alternative to digitizing a design from the beginning, but practically, we can let it go time to time. After-all running a commercial machine embroidery is a business, and you should tap the opportunities where you can save few bucks. The downside is that stock designs cannot always be used. Logos and brand-specific designs have to be designed and digitized from scratch. Stock images cannot be used in such cases. But, many a time, customers require images of flying hawk on the cap or starring leopard on the back of the jacket. Instead of wasting time, effort and money, in such cases, it is best to buy a stock design. In commercial machine embroidery, any fix or tip that makes the day easier for you and doesn’t affect the end quality should be incurred. Stock designs, where usable, should be used with appropriate editing. Editing not only makes the design original and unique but also gives a sense of personalizing to the customer. For professional custom embroidery digitizing, at the lowest cost, reach out to Absolute Digitizing’s quality service. Absolute Digitizing render s high quality digitizing for custom embroidery designs at a price of only $1/ 1000 stitches. All the orders are prepared, reviewed and delivered within 12-24 hrs.